Categoría de productos de Electric Adjusting Valve, somos fabricantes especializados procedentes de China, Electric Adjusting Valve, Electric Bellows Adjusting Valve proveedores / fábrica, de alta calidad al por mayor productos de Electric Fluorine Adjusting Valve I + D y fabricación, tenemos el perfecto servicio y soporte técnico post-venta. Esperamos contar con su cooperación! Electric control valve is an important execution unit meter in industrial automation process control. With the increasing degree of automation in the industrial field, more and more applications are being applied in various industrial production fields. Advantages: Energy-saving electric control valve (consumption of electricity only when working), environmental protection (no carbon emissions), quick and easy installation (no need for complex pneumatic piping and air pump workstations). The electric control valve is optimally mounted with the upper end of the working piston below the horizontal line. The temperature sensor can be installed in any position and the entire length must be immersed in the controlled medium. 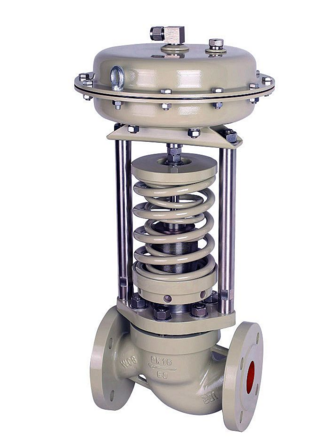 The electric control valve generally includes a driver, which receives a driver signal (0-10V or 4-20MA) to control the valve for adjustment, and can also form an intelligent network control system according to the control requirements, and optimize control to achieve remote monitoring.